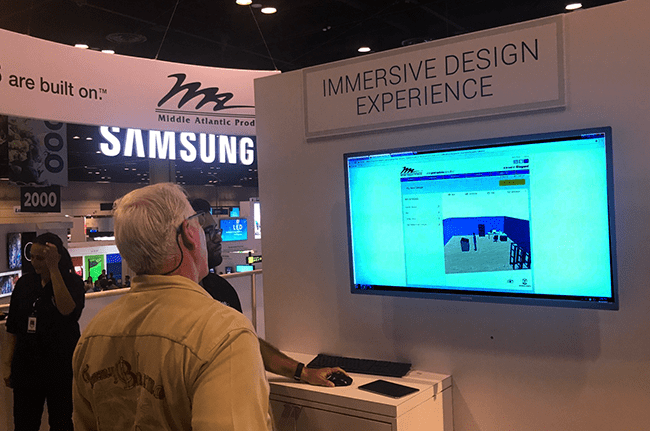 We're excited to announce Powertrak 2D and 3D Product Configurators are on display at InfoComm this week in Orlando, Florida. 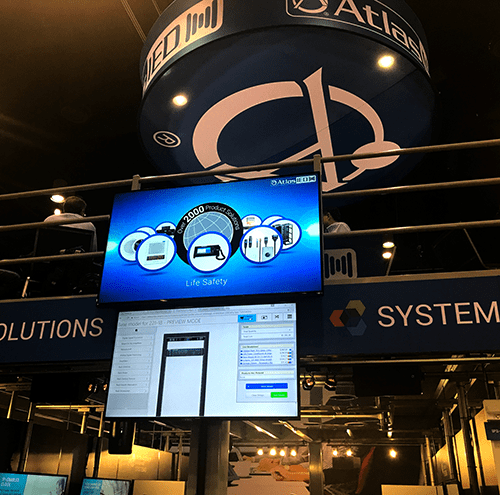 Two Axonom customers, AtlasIED and Middle Atlantic Products, are showcasing their visual rack configuration solutions to roughly 40,000 attendees - the largest pro-AV industry event in North America. Middle Atlantic Products, the Commercial AV division of Legrand North America, is a manufacturer of racks, furniture, accessories, power distribution, connectivity and cabling solutions. The company is showcasing 3D rack and technical furniture configurations with an immersive room design experience in booth 1928. Middle Atlantic Products Visual Configurator, powered by Powertrak 3D Product Configurator, enables users to customize racks and furniture by selecting and placing various storage, shelving, thermal and cable management, and power distribution components into the product. When the configuration is complete, the rack/furniture product(s) can be placed into a 3D room environment. This visual and interactive experience ensures the product is designed correctly and also provides a visual representation how it fits in a particular environment. AtlasIED, a Mitek Communications Group, is a global electronics manufacturer providing comprehensive audio solutions for commercial business environments. The company is showcasing 2D Rack Configurations in booth 5655 in the expo hall. The rack configuration solution features 2D visual product models and interactive drag-and-drop technology to simplify how international distributors and Fortune 1000 customers configure, price, quote and order its audio solutions. The AtlasIED Rack Configurator, powered by Powertrak 2D Product Configurator, enables users to select and freely place desired hardware, rails, panels, doors, shelves, power, fans, and other accessories into a wall, floor, portable or desktop rack.